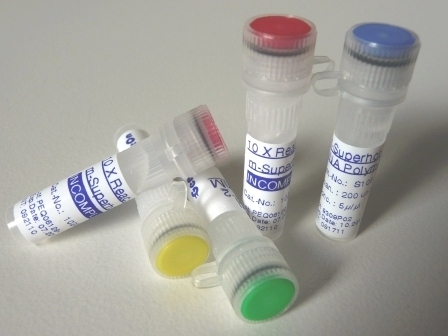 Maximo Taq DNA Polymerase 2X-preMix provides robust PCR performance in a wide range of PCR applications and different templates. Best value in terms of cost per unit. 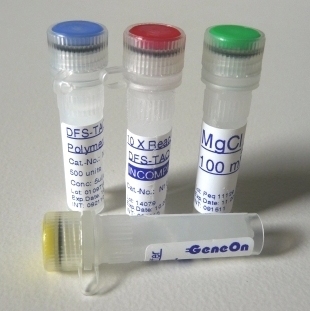 The optimized mixture of all components reduces pipetting mistakes and ensures repeatable results - every day. 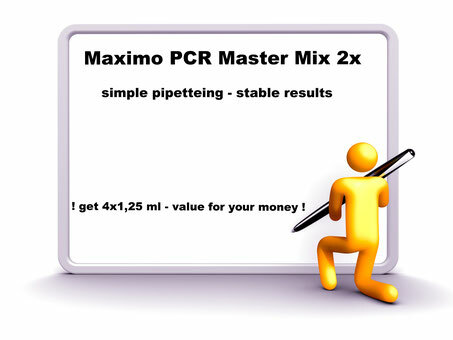 Maximo Taq DNA Polymerase 2X-Mastermix is optimized and ready-to-use mixture of all components for a successful PCR. 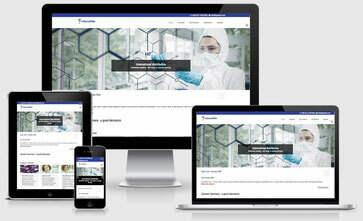 Only your primers and your DNA Template has to be added. Maximo Taq DNA Polymerase 2X-preMix contains a thermostable DNA polymerase that possesses a 5´→3´ polymerase activity and a double-stranded specific 5´→3´ exonuclease activity. The enzyme consists of a single polypeptide with a molecular weight of 94kDa.